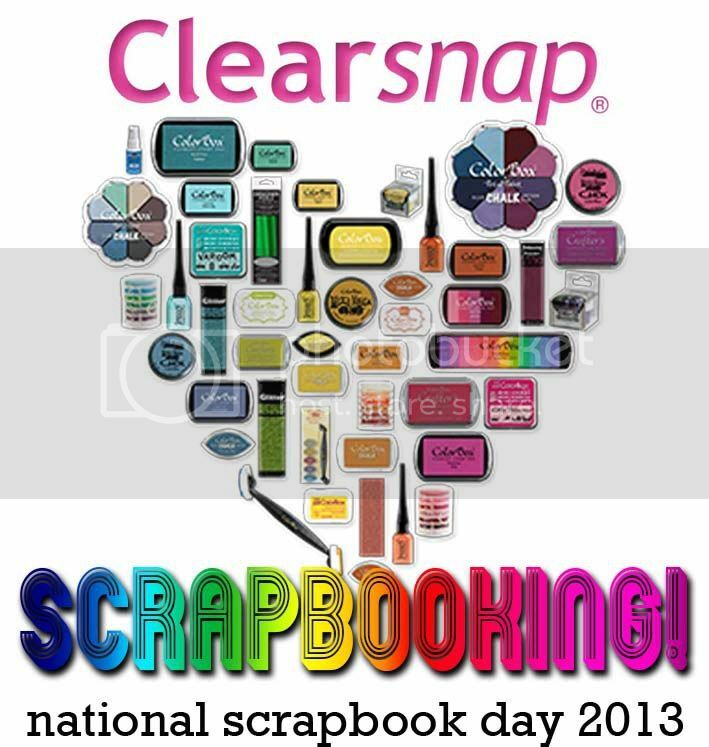 Thoughts of Scrapbooking: Clearsnap NSD Blog Hop! Today I want to share this fun layout that I created about my daughter's first performance of the Nutcracker Ballet. I used Clearsnap Crafter's Ink all over this layout - on the fabric, on the letters and on vellum! Crafter's Ink is so versatile! For the stamped fabric, I used an old repositionable adhesive mat from an electronic die cut machine and placed the fabric flat on that. It held it still so I could stamp perfectly! Then I removed the fabric from the mat, put a scrap sheet of paper over top and ironed it to heat set the ink. The vellum was suprisingly easy! I just stamped the image. (Stamp gently and be careful not to move the stamp at all because it tends to want to slide on the slick surface of the vellum.) Then I heat set the ink with my heat gun. I didn't have the letters for the full title in all the same color of letters, so I inked them up liberally with the crafter's ink and heat embossed them with the Opalescent Clear embossing powder to make them all match with a beautiful shimmer! Not only is that technique great for stretching your chipboard alphabets, but it made my letters match the layout perfectly since I used the same ink as the stamped fabric and accents! 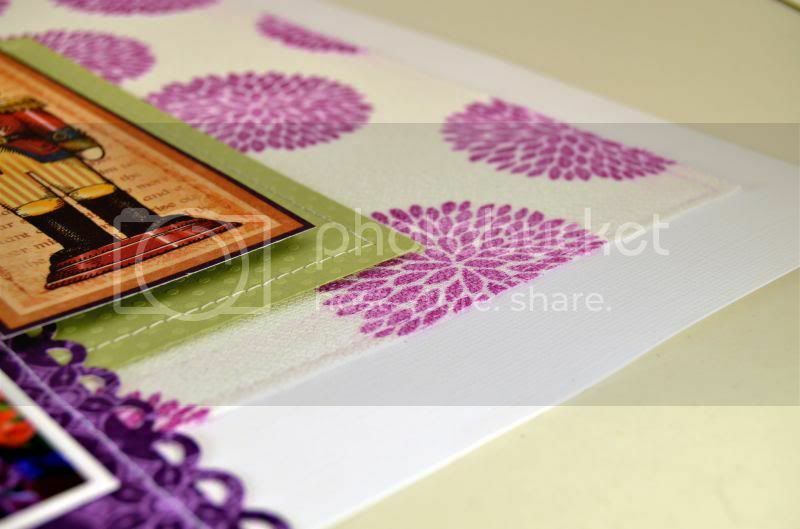 Pretty layout, I love the shades of purple and the flowers. Thanks for sharing! seriously amazing fussy cutting..i'm in awe! Love this layout! I love the purple! Happy nsd! Love the colour. A great layout. Thanks for sharing! How can you go wrong with that subject matter!? Thank you for detailed explanations of stamping on the various materials. Very useful. I especially like the tip for using embossing enamels on chipboard letters to make them match. So simple that I feel a little silly I didn't think of that. Beautiful layout! I love the plum and green. Thanks for the tip with the letters. Wow that sounds so hard but you make it sound so easy! It's beautiful...LOVE the paper and the stamping. Great layout, thanks for sharing! Happy NSD too! I have a lot of trouble stamping on vellum but I love the look! Beautifully done! These colors are gorgeous, (they're also my favorites)! Beautiful layout, love the stamping! Great layout. I like the idea of inking up your own letters to match! Beautiful layout! The colors are so rich and inviting! TFS! Great tip for stamping on material ! Love the use of material and vellum on this layout. beautiful layout!! love the colors! 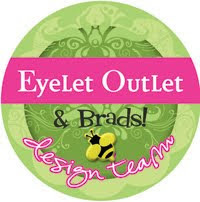 Awesome layout- I love what you did for the letters and I learned 3 new techniques from you today- thanks that makes me a winner already! 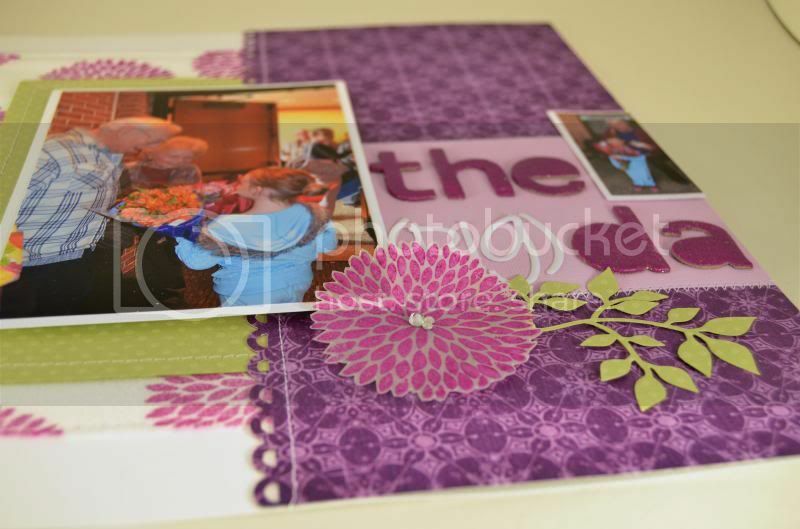 Lovely double layout - the colours and textures are fabulous!!! Gorgeous layout! Loving those big bold blooms! Wonderful techniques on your layout! Really love your suggestion about the adhesive mat for stamping the fabric...that makes perfect sense! Beautiful colors. Oh very nice, I like how you used the ink to match everything up. Megan! 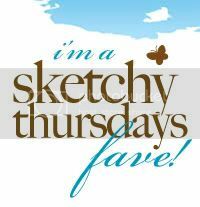 How fun to run across your blog on the Clearsnap hop! Glad to see you're still as creative as ever! This is a darling layout and to make these letters match the papers is simply genius! Love the purple and flowers! Pretty page! Love the Crafter's Ink on vellum. Looks fabulous! It's great that the ink works on so many different types of material. Thanks for the tips on vellum. 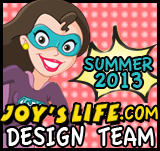 I love your layout and all your inky stamp'in fun! REally nice! Thanks for sharing in the Hop.